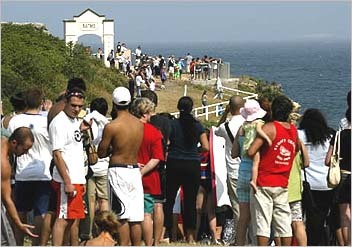 The grassy hillock above Giles Baths has been renamed Dolphin Point in honour of the five young sporting lives lost to the Bali bombings in 2002. 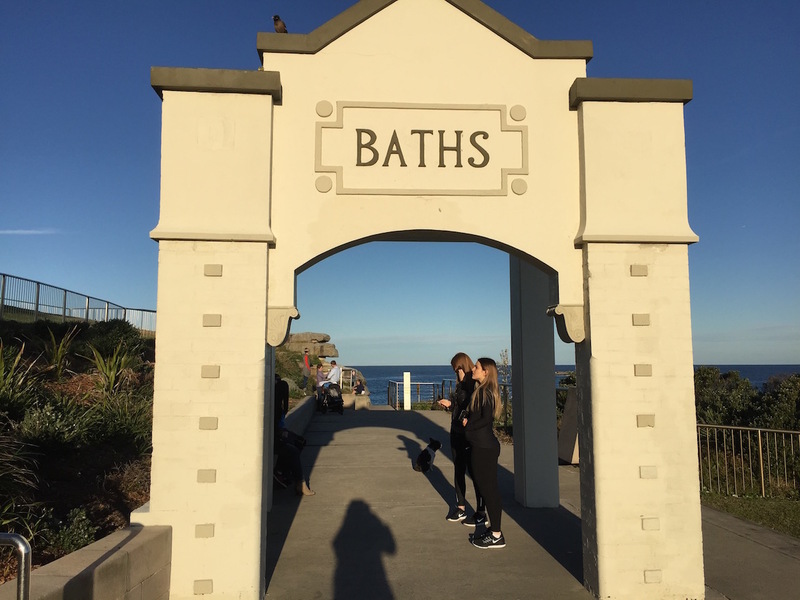 The ocean views are superb from this locality, with high cliffs reaching down to the waters and to the public baths below. 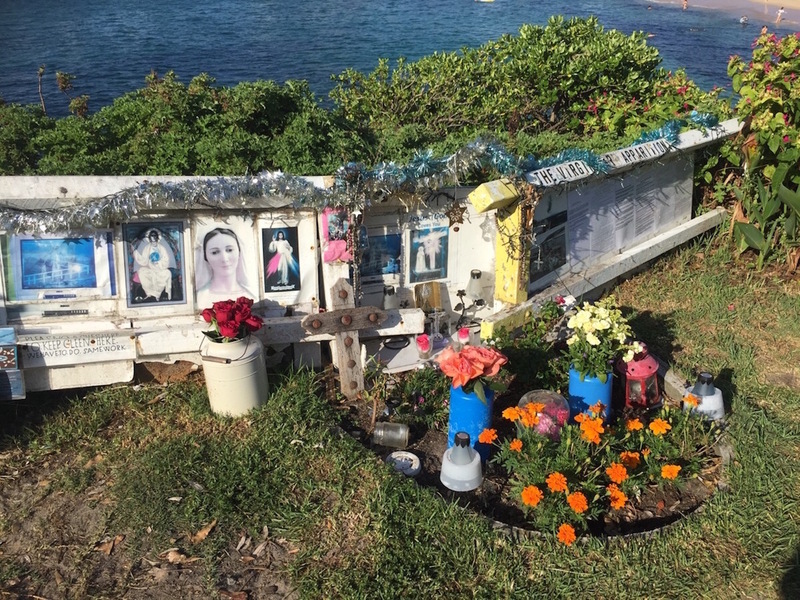 It’s a sobering shrine, but it reflects, for me, the notion of infinity, especially with the backdrop of the sky, blue sea and shimmering horizon confirming the metaphor. A remembrance day occurs each year on 12th October at this site . 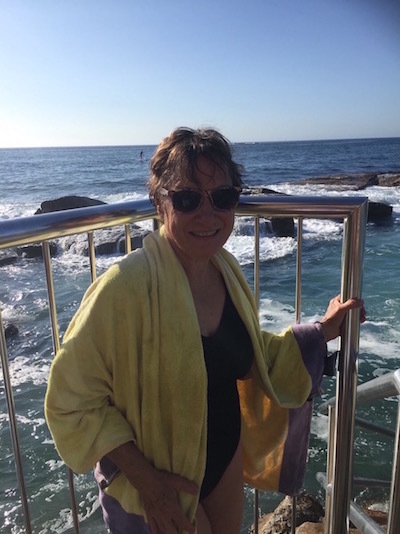 In December 2002, the proprietor of a well-known laundry in North Coogee looked out at the view from the doorway of her premises, and saw a surprising spectacle: a vision of the Virgin Mary shimmering at the end of a white fence that bordered the cliffs above Giles Baths. The spectre could be seen plainly only when the sun was shining, notably at about three o’clock in the afternoon. When news spread of this phenomenon, hundreds of spectators and faithful pilgrims turned up to see for themselves the apparition. Many believed it was a sign from God, wanting to offer comfort to those suffering from world conflicts and fear for the future. Others scoffed at the idea, saying it was merely an illusion formed by sunlight, reflected from a white wooden post. Journalists named it the “Lady of the Post”. At least three research papers conducted by universities, pointed to outpourings of collective grief and fear as a rational explanation for the apparition. 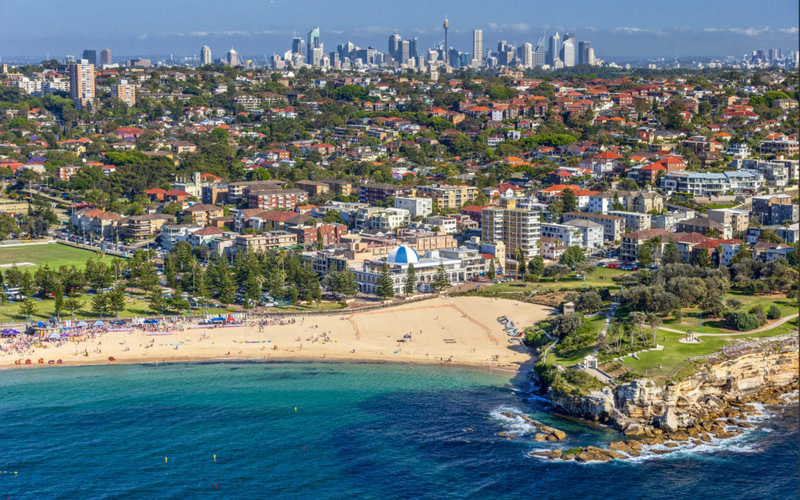 It was several weeks after the Bali bombings, and the time leading up to the War in Iraq. Then something all-too-human occurred: the fence was kicked down by vandals and the laundress was abused and threatened. Once the Council stepped up and mended the fence, the apparition had disappeared. And the crowds stopped coming. 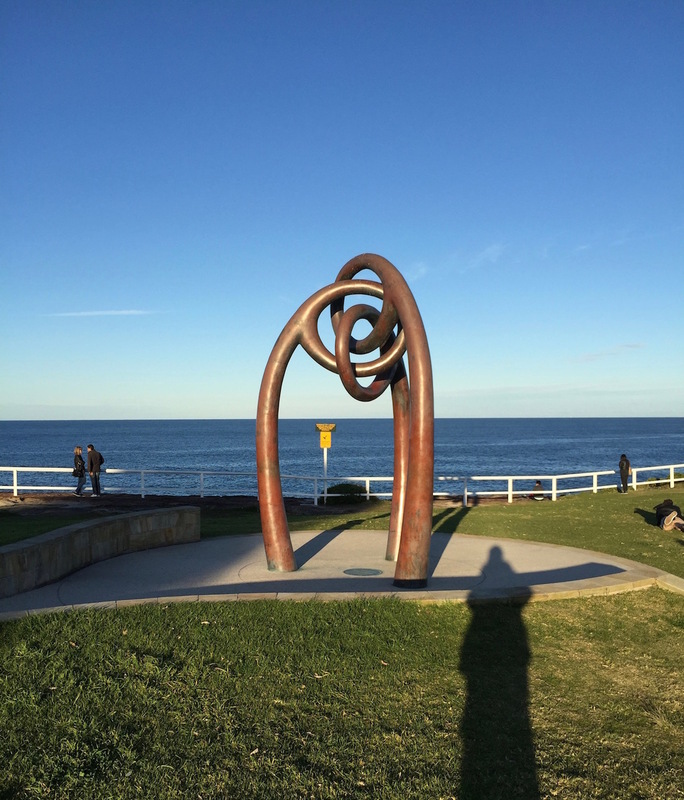 This monumental sculpture in the form of a public bench on high stilts was created by Eileen Slarke in 2005. 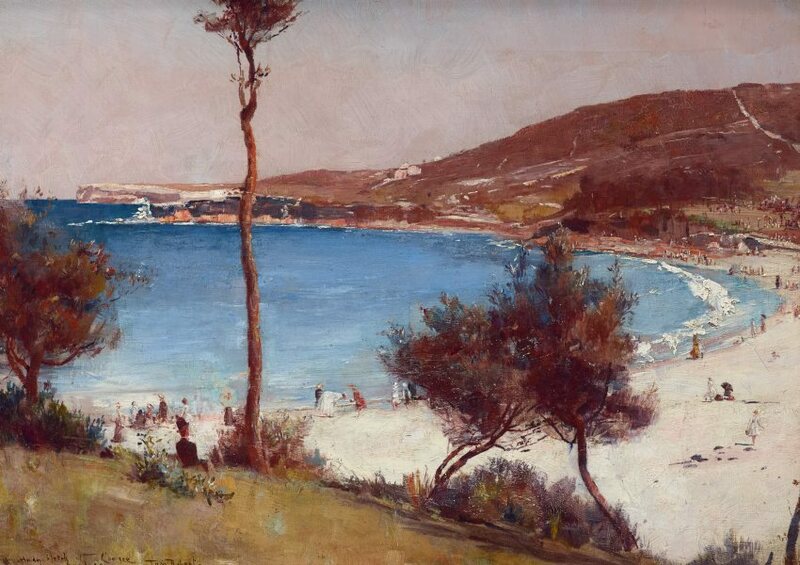 It honours the impressionist artists who painted coastal scenes of Sydney in the late 1800s, some of them from this very spot, overlooking the beach. 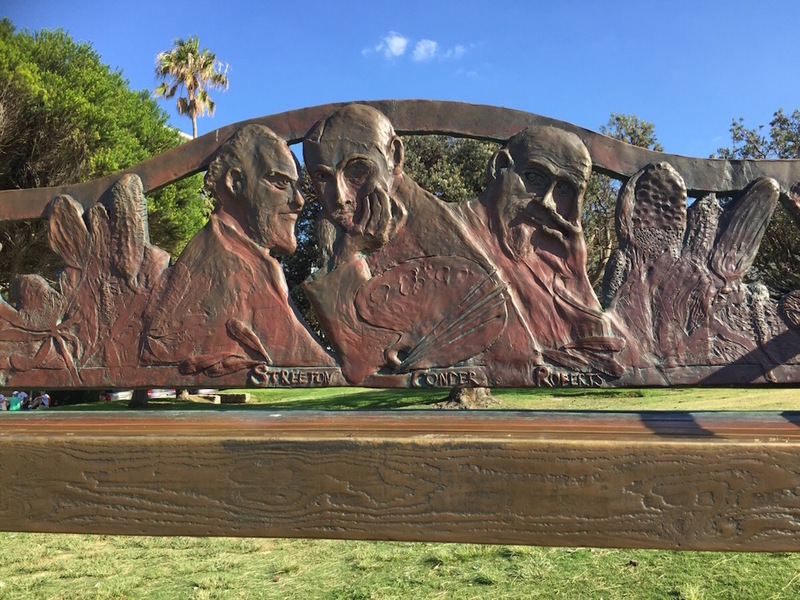 Sculpted faces and busts of Charles Conder, Tom Roberts and Arthur Streeton form the metal back of the seat. 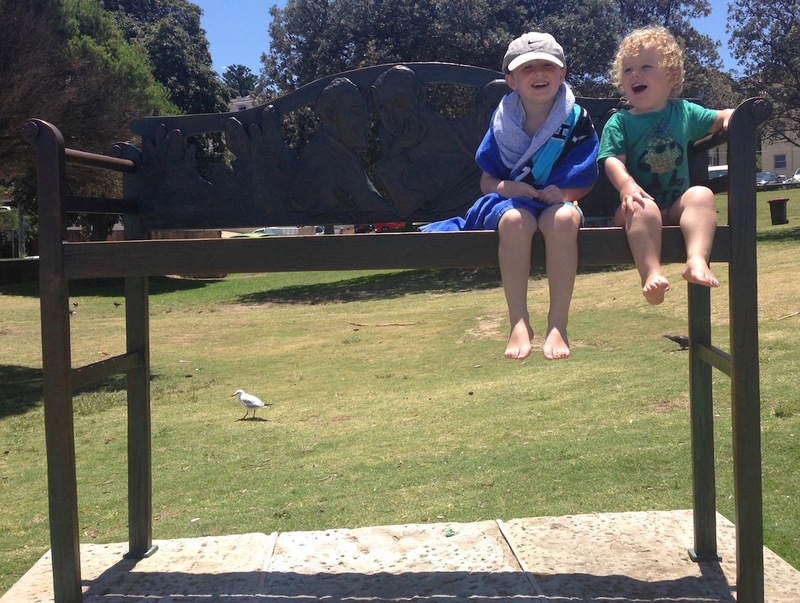 Children love to climb up the wooden ladders and sit on the high seat, kicking their legs and laughing down at their parents who are taking taking photos of them. 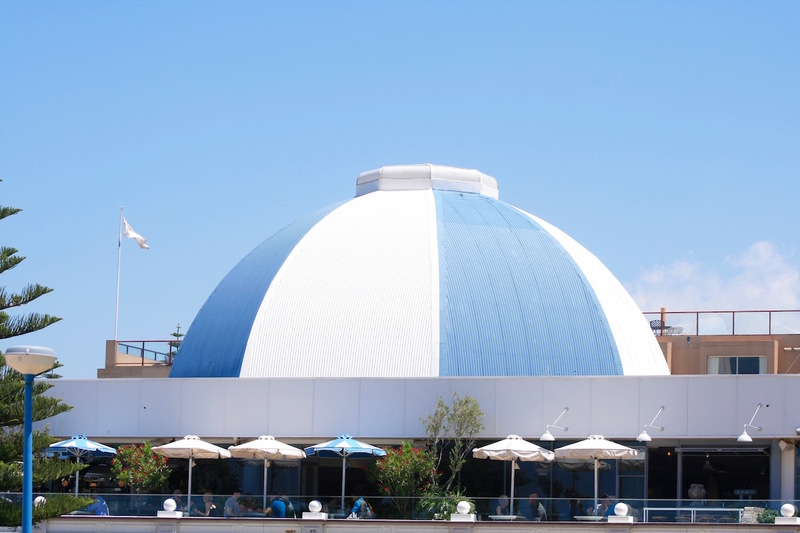 The (now) blue-and-white Coogee Pavilion dome has dominated the Northern Coogee sky for decades. 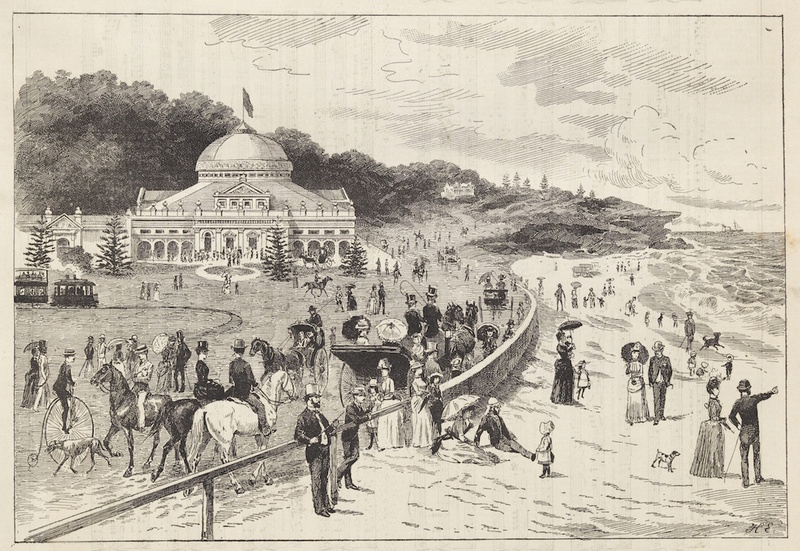 It once capped the famed Aquarium and the Coogee indoor baths. 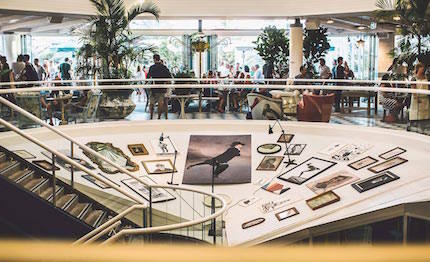 In August 2014 the building re-opened as the Coogee Pavilion in a $30 million+ renovation by the Merivale group, and its director Justin Hemmes. 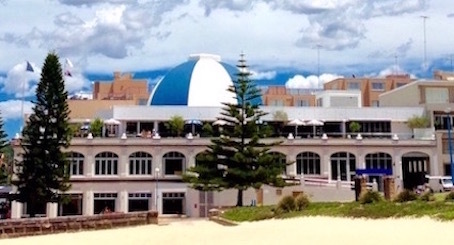 The young developer has created an imaginative and amazing project beneath the dome that has been re-named the Coogee Beach Pavilion. It is a modern space with an industrial/marine theme inside, decorated with eclectic touches and old world furnishings chosen by Hemmes’ sister. 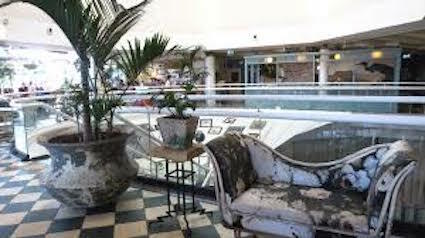 It successfully invites and welcomes several paradoxical demographics, including mothers-and-babies (mornings downstairs), schoolchildren (holidays in games rooms), sophisticated diners (restaurants) and clubbers (upstairs bar areas). 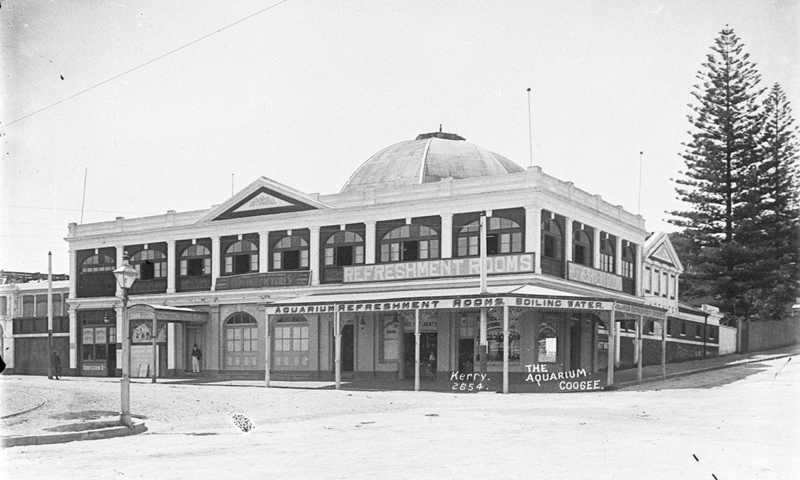 In June 1945, a strong storm caused the large dome to collapse; in 1987 the Coogee Palace and Dome were re-built and converted to restaurants and bars. 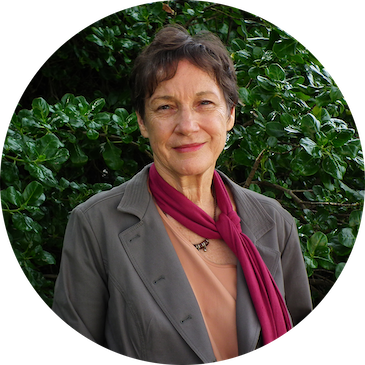 Love the way your website is shaping up Anne. Thanks, Warren. It’s taking time input, work and help from an expert. Glad you recognise it.